Controversial new book asks: Do drug companies make drugs or money? No-one can object to the pharmaceutical companies making profits. Surely that’s the aim of all companies – to make profits. But how much is too much? We ask that very question in our new release book MEDICAL INDUSTRIAL COMPLEX: The $ickness Industry, Big Pharma and Suppressed Cures. Many people are alive today because of prescription drugs, and many more are enjoying a better quality of life because of prescription drugs. Let us be clear and unequivocal about that. And unsubstantiated criticism of the pharmaceutical industry, or any industry for that matter, does no-one any good. We kept all that front of mind when conducting our research for this book. Unfortunately, the inescapable fact is that much of the good Big Pharma does is undone by mistakes, dubious business practices, (reported/confirmed cases of) fraud and, quite simply, by greed. Much has been written about Big Pharma in recent years. 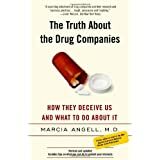 One of the most informative books on the industry is The Truth About Drug Companies, by Marcia Angell, M.D., former editor of the prestigious New England Journal of Medicine. “Currently Americans spend a staggering $200 billion each year on prescription drugs. As Dr. Angell powerfully demonstrates, claims that high drug prices are necessary to fund research and development are unfounded: The truth is that drug companies funnel the bulk of their resources into the marketing of products of dubious benefit. Meanwhile, as profits soar, the companies brazenly use their wealth and power to push their agenda through Congress, the FDA, and academic medical centers. “Zeroing in on hugely successful drugs like AZT (the first drug to treat HIV/AIDS), Taxol (the best-selling cancer drug in history), and the blockbuster allergy drug Claritin, Dr. Angell demonstrates exactly how new products are brought to market. Drug companies, she shows, routinely rely on publicly funded institutions for their basic research; they rig clinical trials to make their products look better than they are; and they use their legions of lawyers to stretch out government-granted exclusive marketing rights for years. They also flood the market with copycat drugs that cost a lot more than the drugs they mimic but are no more effective. “The Truth About the Drug Companies is a searing indictment of an industry that has spun out of control”. Within the book itself, Dr. Angell describes the unethical and at times inhumane pharmaceutical industry she witnessed in her 21 years spent as the first female editor-in-chief of The New England Journal of Medicine. She also gives numerous examples to prove beyond dispute that the world’s biggest drug companies have grown so powerful they are now able to pull the strings and call many of the shots in medical academia, health research and even the way doctors and nurses go about their work. Meanwhile, the public, including more and more of the poor, invalid and elderly, are unable to meet the cost of rapidly increasing prescription drug prices. For an insight into the profitability of the major pharmaceutical companies, take a gander at the top performers on the latest Fortune 500 list. (Fortune 500 being Fortune Magazine’s annual list of the top 500 US companies – publicly and privately listed – according to their gross revenues). At the time of writing, the 2014 Fortune 500 list was the latest available. One of the best summaries of the pharmaceutical companies (drug wholesalers, chain pharmacies, pharmacy benefit managers (PBMs), and pharmaceutical manufacturers) we could find is on the very professional DrugChannels.net site. Compiled by Dr. Adam J. Fein, CEO of Drug Channels Institute, it’s an eye-opener for the uninformed. The good doctor compares the fortunes of the eight listed drug channels companies (AmerisourceBergen, Cardinal Health, CVS Caremark, Express Scripts, McKesson, Omnicare, Rite Aid, and Walgreens) with Fortune 500’s 12 pharmaceutical manufacturers and a separate survey of independent pharmacies. Dr. Fein reports “The 2013, median revenues for the eight drug channel companies were $95.1 billion, up 1.4% vs. 2012. Median revenues for the manufacturer group were $17.5 billion… The revenues of the 12 largest pharmaceutical manufacturers on the Fortune 500 list range from $67.2 billion (Pfizer) to $5.5 billion (Celgene)”. In the report he quotes 2012 data supplied by the National Community Pharmacists Association’s 2013 NCPA Digest, which shows that independent pharmacies had higher profitability than the eight largest drug channels companies, including PBMs. Dr. Fein also observes that, “In 2013…investment returns reflected last year’s strong stock market performance”. The median Total Return to Investors in 2013 as reported from Fortune’s list is detailed as follows: 8 Drug Channels companies: +65.8% (range: +30.1% to +272.1%); 12 Drug Manufacturers: +34.8% (range: +7.3% to +115.3%). Starting to get the picture? Big Pharma is mighty profitable and becoming more so each and every year. You have been reading an excerpt from Medical Industrial Complex. In the Foreword to our new release book MEDICAL INDUSTRIAL COMPLEX: The $ickness Industry, Big Pharma and Suppressed Cures, retired pharmacist and author Denis Toovey says in his own career as a pharmacist spanning 40 years, he has seen many examples of patients falling through the cracks in the health system. This book is part of The Underground Knowledge Series by James & Lance Morcan. In it, they raise some very important questions concerning the state of modern medicine today and the major players in the highly profitable medical sector. Questions that certainly need to be brought out into the open and discussed with politicians and administrators who often hide behind closed doors. While it would be nice to think none of the negative issues raised in this book are true, my suspicions are that, sadly, this is not the case. In my own career as a pharmacist spanning 40 years, I have seen many examples of patients falling through the cracks in the health system as a direct result of health providers focusing on high patient turnover on a ‘fee-for-service’ basis with no guarantee of results. On top of this, all too often health professionals have to work within systems created by politicians and administrators that allow for zero direct responsibility for patient outcomes. In fact, it is interesting to consider that, despite the millions of dollars invested in research, we have few medicines that actually cure patients in the real sense of the word. Sadly, for many doctors, ‘cure’ means ‘a quick fix,’ often putting patients on a medicine for the rest of their lives with the possibility of adverse side effects, and no guarantee of a positive outcome. In light of this, there is no hiding the huge influence drug companies have on the practice of medicine which has stalled finding real cures. The health system is more about the ambulance at the bottom of a cliff than a fence at the top. What we need, I believe, is a focus on real cures and prevention of disease with a strong focus on the body (healthy lifestyle), mind and spirit. I am sure people want to take more responsibility for their health, but often do not know where to start. Equally, some health professionals do not take too kindly to patients who want to be involved in decisions about their treatment. The Morcans highlight the tendency to label holistic as quackery – an ironic description when you consider holistic practitioners tend to focus on dealing with the causes of disease rather than just treating symptoms with medicines. I am excited that more doctors today are practicing functional medicine, which has a lot in common with a holistic approach. Incidentally, I encourage people to spell holistic ‘wholistic’ to emphasise the whole (big) picture. Serious questions need to be asked about a health ‘system’ in which politicians are often reluctant to invest money in long term, preventative measures. Measures that may take years to show a return on investment. Instead, they tend to focus on short term tangible things like spending more money to reduce waiting surgical waiting lists (to win votes) instead of dealing with the long term underlying causes, such as obesity, that are plaguing our world. Regarding obesity, the public health message to reduce fat intake has actually led to many people getting their energy from high Glycaemic index carbohydrates. These often lead to insulin resistance, diabetes and, believe it or not, the production of fat in the body, giving rise to obesity, which is linked to many diseases including cancer. 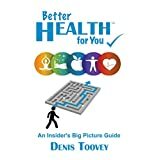 Denis Toovey is author of Better Health for You – An Insider’s Big Picture Guide. 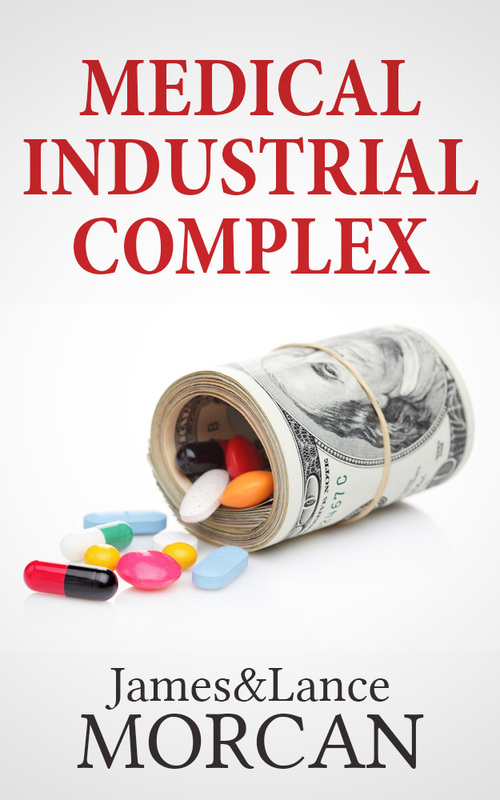 MEDICAL INDUSTRIAL COMPLEX: The $ickness Industry, Big Pharma and Suppressed Cures was published today on Amazon. It’s a no-holds barred critique of mainstream medicine and the various players who make up one of the largest and most profitable industries on the planet. Book 3 in ‘The Underground Knowledge Series’. Written by novelists, filmmakers and independent researchers James Morcan & Lance Morcan, with a foreword by retired pharmacist Denis Toovey (author of Better Health for You: An Insider’s Big Picture Guide), this explosive book explores the contention that Big Pharma and other participants in the healthcare sector put profits ahead of patients’ wellbeing and dollars ahead of lives.Medical Industrial Complex leaves no doubt that something has run amuck in the medical field, and what should be the noblest profession has been severely compromised by the various conflicting interests. The authors examine this in language anyone can understand. In the process, they draw attention to the rampant commercialism, political selfishness and dogmatic academia that plagues the industry. The reader is reminded there are many honorable people within the medical establishment who are doing incredible things for their fellow Man. However, the reader is also reminded that doctors, hospitals, medical academia, pharmaceutical companies, medical equipment suppliers, health insurers et al make their money from sick people, not healthy people, and if everyone was healthy many of the aforementioned would be out of business…so it’s hardly in their financial interests to cure illnesses and ailments. 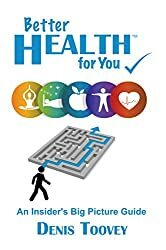 Better Health for You: An Insider’s Big Picture Guide, by Denis Toovey, promotes a holistic (big picture) approach to health and is attracting rave reviews. ‘MEDICAL INDUSTRIAL COMPLEX’ is coming soon to an ereader near you! The countdown has begun for the release of our new Kindle ebook, MEDICAL INDUSTRIAL COMPLEX: The $ickness Industry, Big Pharma and Suppressed Cures — a no-holds-barred critique of the state of mainstream medicine today. Book three in The Underground Knowledge Series, it follows the successful release of ANTIGRAVITY PROPULSION: Human or Alien Technologies? (book two) and GENIUS INTELLIGENCE: Secret Techniques and Technologies to Increase IQ, (book one). Medical Industrial Complex explores the contention that the big pharmaceutical companies and other major players put profits ahead of patients’ wellbeing and dollars ahead of lives. It shines the spotlight on, or in some cases applies the blowtorch to, all the players in the medical sector, including the doctors, hospitals, the medical academic establishment, hospital supply and equipment companies, politicians, consultants, insurers, banking executives, accountants, lawyers and of course Big Pharma. 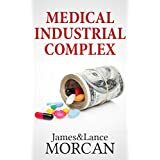 To view the discussion thread on the Medical Industrial Complex (the phenomenon) in our ‘Underground Knowledge’ group on Goodreads check out: https://www.goodreads.com/group/show/142309-29-conspiracy-theories—a-discussion-group >>> Everyone’s welcome! 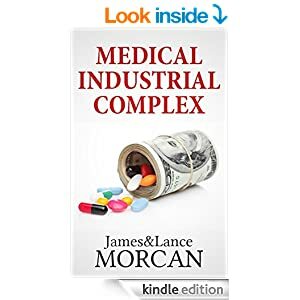 Our next book, MEDICAL INDUSTRIAL COMPLEX: The $ickness Industry, Big Pharma and Suppressed Cures, is unlikely to be welcomed with open arms by the big drug companies or by other major players in the so-called Medical Industrial Complex. It’s a no-holds-barred critique of the state of modern medicine. Book three in our series The Underground Knowledge Series, it follows the recent successful release of ANTIGRAVITY PROPULSION: Human or Alien Technologies? (book two) and GENIUS INTELLIGENCE: Secret Techniques and Technologies to Increase IQ, (book one). Medical Industrial Complex explores the contention that Big Pharma and co. put profits ahead of patients’ wellbeing and dollars ahead of lives. It shines the spotlight on, or in some cases applies the blowtorch to, all the major players in the medical sector, including the doctors, hospitals, the medical academic establishment, hospital supply and equipment companies, politicians, consultants, insurers, banking executives, accountants, lawyers and of course the drug companies. 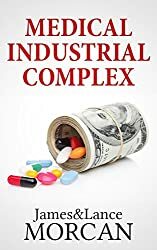 To view the discussion thread on Medical Industrial Complex (the phenomenon) in our ‘Underground Knowledge’ group on Goodreads check out: https://www.goodreads.com/group/show/142309-29-conspiracy-theories—a-discussion-group >>> Everyone’s welcome!